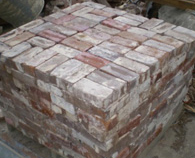 The Recycled Building Yard has the biggest range of cheap used or 2nd/second hand bricks. 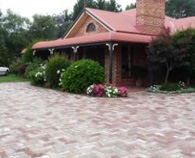 Whether its recycled heritage style bricks from homes of the early settlers, or second hand bricks for paving, driveways, rendering on modern day home projects, chances are that we can source bricks for your next project. 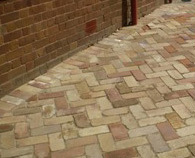 Ask our specialists about our brick matching services so we can help you get the best value for your money. 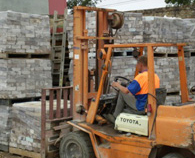 No order is too big or too small and we can help with arranging a brick layer or paving layer and delivery to your site. Please contact us for more info. These particular bricks are superior for rendering, as they do not swell or crack when rendered. 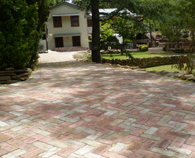 They can be used as a cheaper alternative for pavers, though they tend to have more imperfections than paving grade bricks, and the brick colours are not as aesthetically pleasing. 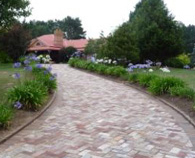 Over the past several years there has been an increasing demand for recycled bricks to be used as pavers. This grade of brick is perfect to use as pavers. They are generally in popular colours, and a better condition compared to rendering / builder’s grade of bricks. People ideally use this grade of brick when renovating an existing dwelling, or completing a half-finished exterior project. They are great to match to existing brickwork, and are perfect to use instead of new or face bricks. Sandstock bricks, (also known as convict bricks) are the oldest type of brick available. Many convict bricks are over 200 years old, and are usually found in heritage buildings. They are also used when wanting to create a certain theme or look for your project. Bull Nose bricks are used on window sills or fences, and are known as Bull-Nose bricks as they will have 1 or 2 rounded sides. They are particularly useful in high-traffic areas as they do not have sharp edges. Blue-Black bricks are called this due to their distinctive colouring. They can be quite rare, but are very striking when used in substantial amounts.